Oscar becomes weirdly obsessed with living up to Murph when he finds out that the girl he is dating used to date the handsome ex-baseball player. Also, when Emily volunteers to be a part of a historical reenactment on Ellis Island in order to spend more time with Felix, he is too busy preparing for his role to pay any attention to her on THE ODD COUPLE, Thursday, May 7(9:01-9:30 PM, ET/PT), on the CBS Television Network. 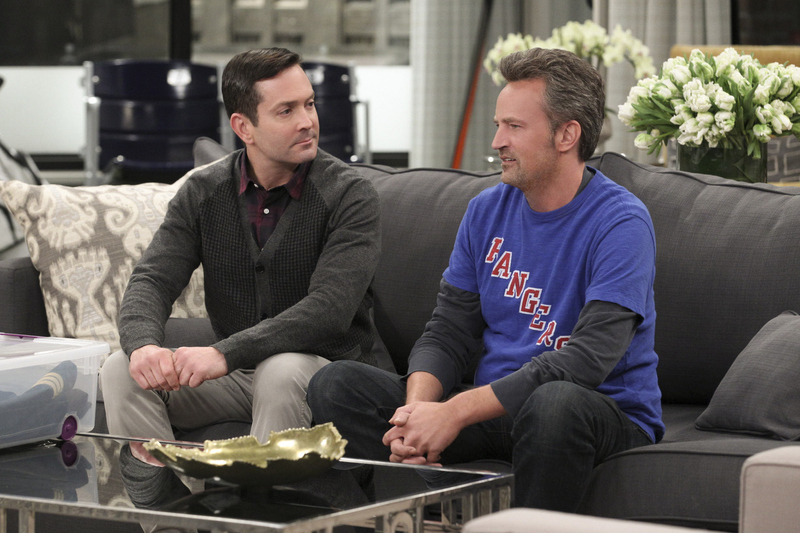 Pictured L-R: Thomas Lennon as Felix Unger and Matthew Perry as Oscar Madison.